"…sources close to the search process told KPCC." "…obtained by KPCC through a public records request…"
"Two sources who requested anonymity to discuss a personnel matter confirmed…"
​"…according to a letter obtained by KPCC/LAist." Want a loyal community of returning readers and listeners? Get plugged-in and get out-front on stories that matter. When L.A. picked a new schools superintendent, I had the story before the vote. I got the heads-up to a school board deal that spared eleven schools from closure — and then helped people understand why it was so controversial in the first place. "Seattle teachers union members will go on strike for the first time since 1985 on Wednesday, a move that cancels what was supposed to be the first regular day of classes for the roughly 53,000 students in Washington's largest school district." "Ref Rodriguez is having a bad year. He was charged with three felonies. He's at the center of a separate financial scandal. He has faced regular, repeated calls to resign from the Los Angeles Unified School Board … and on Friday, Rodriguez appeared ready to admit [he] had done what [he's] been accused of doing." …with an explainer: Embattled LAUSD Board Member Ref Rodriguez Close To Reaching A Deal On Campaign Finance Questions. Here's How We Got Here. …with accountability reporting on the fallout at Rodriguez's charter school, on whether the school district upheld its oversight responsibilities and (with a colleague) on where he got the money for his campaign finance misdeeds. "Almost as quickly as Georgie Stevens signed into her online ISTEP+ exam, the testing website kicked her out. 'It said, "Get off and get back on," there's something wrong with it,' the Bloomington fifth grader remembers. 'So I did.' Then the site booted her out again. And again." 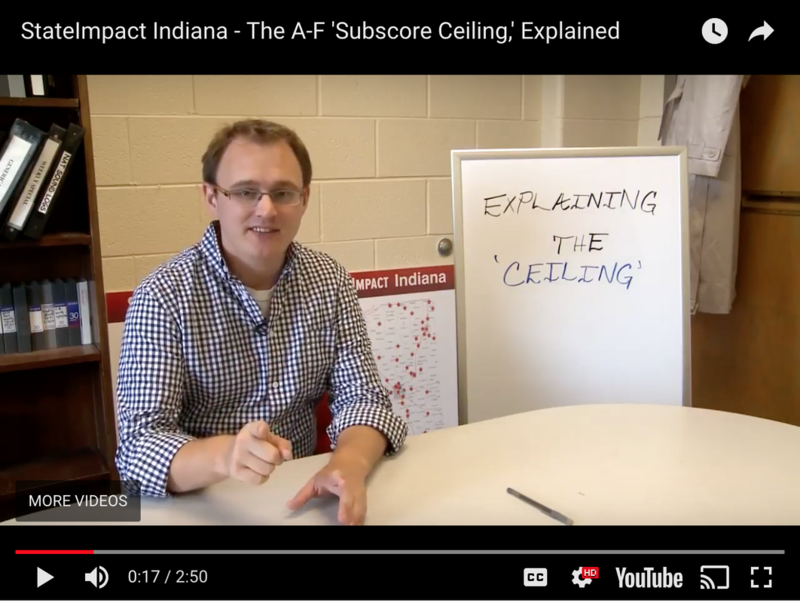 After studying last year's A-F rating data, a StateImpact analysis has identified 165 schools across the state … that saw higher final grades than they would have if [state officials] hadn't tweaked the formula roughly six weeks before releasing 2012's results. 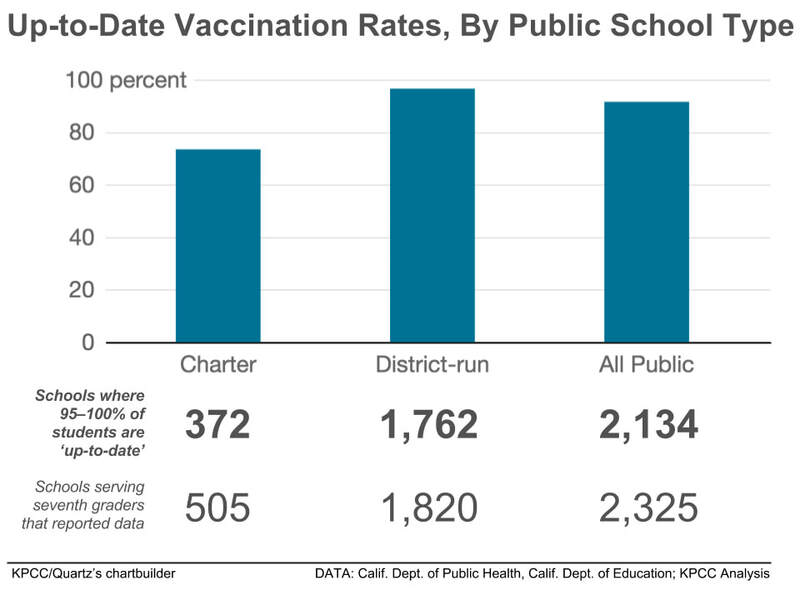 Vaccination rates in California schools reached an all-time high last school year, but … a KPCC analysis of recently-released vaccination rate data shows … one subset of public schools still appears to be lagging behind: charter schools. Supporters of a sweeping plan to reduce K-12 class sizes in Washington public schools cheered its passage in November … Yet Initiative 1351 has landed with a thud in Olympia … and the budget Gov. Jay Inslee released Thursday only covers a portion of it. The move touched off a bizarre scene as Ritz and her staff filed out of the meeting room, the web stream of the meeting stopped and workers carted audiovisual equipment out of the room as frustrated State Board members kept their seats, remaining to discuss what to do next.